This week we are joined by author Shel Delisle. Shel, tell us about yourself. I’ve wanted to be an author since first grade when I would make illustrated picture books for my classmates and my teacher Mrs. Parker would display them on a table at the back of the room with all the real books. I stayed focused on writing while I was growing up, eventually majoring in journalism at the University of Missouri. But then, like most people, I took the first job offered to me, which led to a second job and third job and before I knew it, I was a Marketing Executive with no satisfying writing in my life. About seven years ago, I decided it was time to see if my first love was my real love and began to learn everything I could about craft and the industry. Two years ago, I founded Whatcha’ Reading Now? with a couple other writer friends. The idea behind WRN? was to provide a way for lovers of books for kids and teens to come together. We have a site, a Facebook presence, contests, reviews on Amazon and a new blog. Finally, in the spring of this year, after researching the changes coming in the publishing industry, I decided to try indie publishing. It’s been exciting—and a heck of a lot of work!—to be involved in all aspects of producing a book, like hiring a cover designer and an editor. 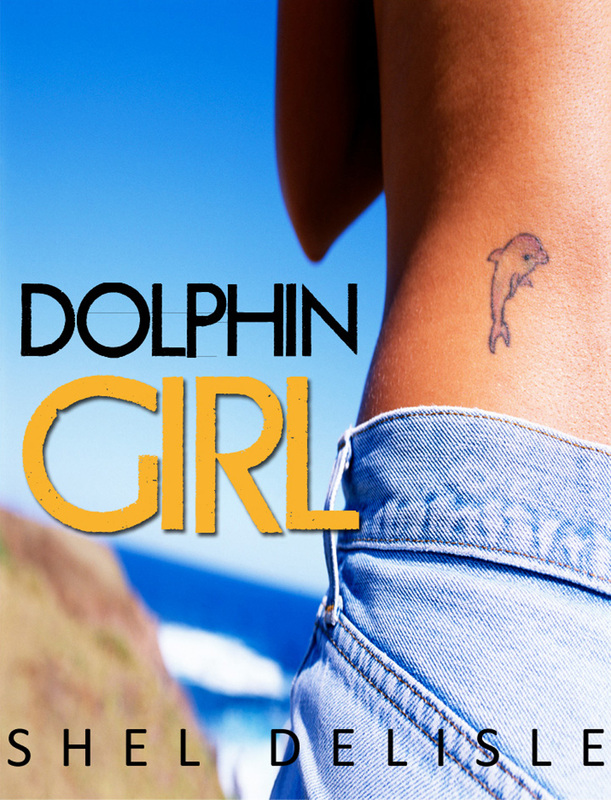 In October, I released e-book versions of Dolphin Girl and on November 1 it went for sale in paperback. So now, I wear many hats – mom, wife, WRN? volunteer, publisher, author. I’m hard at work on books that will be released in early 2012 and I must be nuts since I’m doing a modified version of NaNo this month along with all the promotion for Dolphin Girl . Even though there are days that I stress about all I have to do, I’ve always felt it’s better to have too much than not enough! Holy Wow! That does sound kind of crazy, Shel. But I understand the motivation behind the drive. That passion can’t be denied. 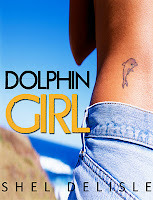 In Dolphin Girl sixteen-year-old Jane Robinson has a strong affinity with dolphins because they leave her feeling freer than she does in her life. Like many teens, Jane struggles with issues of self-esteem, peer pressure and parental expectations. She feels as though she cannot be herself and still be accepted by those she cares most about. To rebel, Jane gets tattooed and then she meets and falls for Sam, a popular boy who is outside her group of friends. When pressure to conform builds at school and home, Jane becomes increasingly focused on ways to break free. 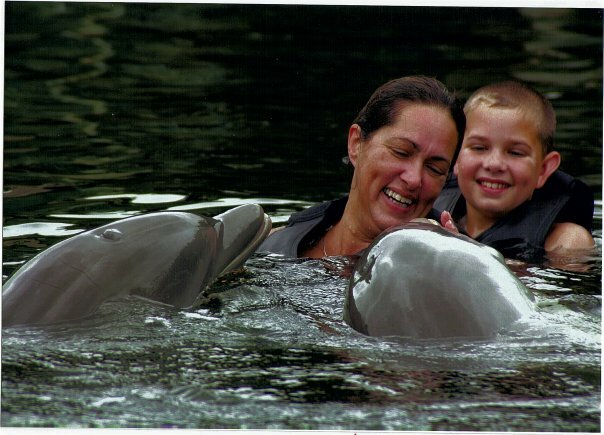 At its heart, Dolphin Girl is a story of family, friendship, first love and freedom. Wow! This is a very tough question with all the books I read for Whatcha’ Reading Now?. Very tough! Still, I do feel like I have the opportunity to read more than a lot of people so, here are my picks. Please Ignore Vera Dietz by A.S. King – I know this seems like a kinda’ obvious choice since it won the Printz and everything, but I was in awe of this book before I knew about the nomination. What I love about this book is so all encompassing, which makes it very hard to pinpoint one or two things. I love Vera and the flow charts and the chapters from the Pagoda’s point of view and more. I love Vera’s character and that she’s so believably flawed that she feels like someone I would know and befriend. The writing in this book is so incredible that I ran out and bought The Dust of 100 Dogs when I already had well over one hundred books in my tbr pile. And, I will buy Everybody Sees the Ants and will likely read everything that she writes! Sorta Like A Rock Star by Matthew Quick -- This seems to be one of those books that people either love or hate and I fall into the totally and completely in love with this book category. As for the specifics: I loved that it was a story featuring a main character whose faith is a big part of who she is. To me this seems like a topic that’s often avoided altogether in books—the character’s beliefs—which seems really strange because I think that what a person believes about God and their faith or lack of it is usually a big part of who they are. But in addition to the that aspect of the book, I loved the entire cast of characters and believe that Matthew Quick must be surrounded by fascinating people and be fascinating himself. In my opinion, anyone who loves a message of hope and redemption would enjoy this book! The Chaos Walking trilogy by Patrick Ness. There are a lot of outstanding dystopian/speculative fiction novels being published these days. For me, this series, is my favorite in this genre. Again, the reasons for this are too numerous and too complex, unless you’re okay with me rambling on and on for days. So, instead of that torture, here’s the short list of what I loved: high stakes, page turner, exploration of interesting social issues, AND best first line for book 1 combined with best last line for book 3. The first and last line reason is enough for the book to appear on my top three list, but really there is so much more. It was announced recently that Lionsgate will be making films of from books—which is really exciting—and I hope they stay true to the original story line. Youth Sports – I have three boys, age 21 to age 11, and they all play sports. Between the three of them, they have played soccer, basketball, baseball, ice hockey, roller hockey, lacrosse, tennis, track, volleyball, football, golf. We have not tried cricket or rugby. Yet. I love watching them play, pulling for a team, the thrill of victory, the agony of defeat, the smell of a field when it is so early in the morning it’s still covered by dew, the squeak of shoes on a basketball court, seeing them make an incredible “in the zone” play. And, mostly, I love the time with my family watching them do what they love. Read and Write – Yes, I know this is “my job”. But I really can’t think of anything else I’d rather be doing. My favorite, favorite, favorite part of writing is at the beginning of a new project when everything is still wide open and still a possibility. Travel – I adore going to new places. In fact, before writing, I had a corporate job that allowed me to travel to NYC, DC, LA, Chicago, San Francisco, San Diego, Honolulu, Atlanta, Denver, Cheyenne, Dallas, Phoenix, Las Vegas, Philly, Boston, San Antonio and many other places, plus two international destinations—Bangkok and Glasgow. My ideal life would be travelling to youth sports events that allowed time for site seeing during the day and reading/writing in the morning and between games. Oh! And, there would be good restaurants in the ideal life too! Okay, first a disclaimer. These are not my three favorite songs because figuring that out would be completely impossible! 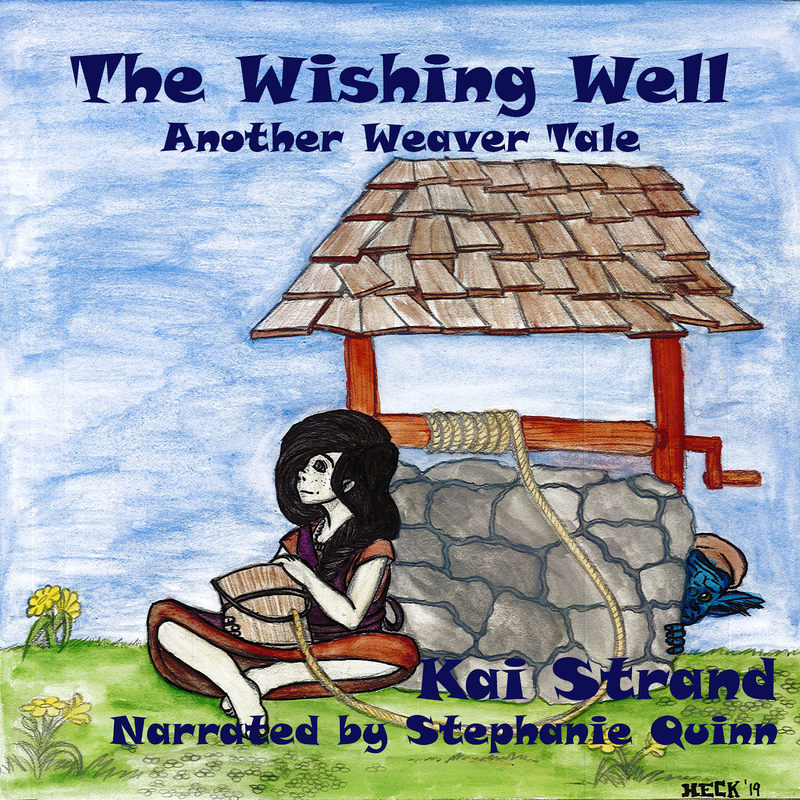 But, because the question asked about my play list, I’m going to name three songs tied to novels I’ve written or that are still works in progress. “Numb” by Linkin Park – this song is edgier than Dolphin Girl, but the video does have some eerie similarities. “Drops of Jupiter” by Train – ditto on the eerie similarities for my novel Winging It! “Firework” by Katy Perry – for my current wip. This is funny-strange. I tend to believe most people would think this is an upbeat song, but for some strange reason it makes me very emotional. Weird, right? Shel, where can our readers learn more about you and stay informed of new releases? It has been so much fun visiting with you, Shel! Good luck with Dolphin Girl and with balancing all the aspects of indie writing. Be sure to come back and visit when your next book releases. Thanks so much for hosting me, Kai. I love the "threes" format of your interviews. You sure are a fun guest to have. So glad you visited! So much fun to read this! I am NOT one of those writers who loved to write ever since childhood, so it's refreshing to see someone who WAS one those and STILL didn't write for a long time (I hope that makes sense). WRN? sounds intriguing. Thank you for sharing about it. A fascinating interview. Your book sounds great and so typical of teens. Love the cover, which should attract readers. And I well remember the hours spent at baseball, football and all the other sporting events. I have 3 sons too, now grown. Miss those days. Best of luck with your books. Another fun interview to conduct. I love meeting new people. Thanks for stopping in Barbara and Beverly.